He was born and raised in Peristeri, Attica, Greece. The last years, he lives and works in Volos. He has been occupied with photography, the last 8 years. He has succesfully participated in many panhellenic contests and in many group exhibitions. At the photo group "Diavlos", he was taught the secrects of the photographic art. 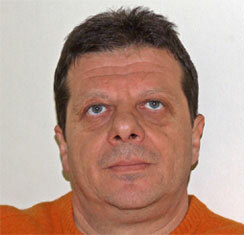 He is a founding member and member of the board at the Photography Club of Volos.